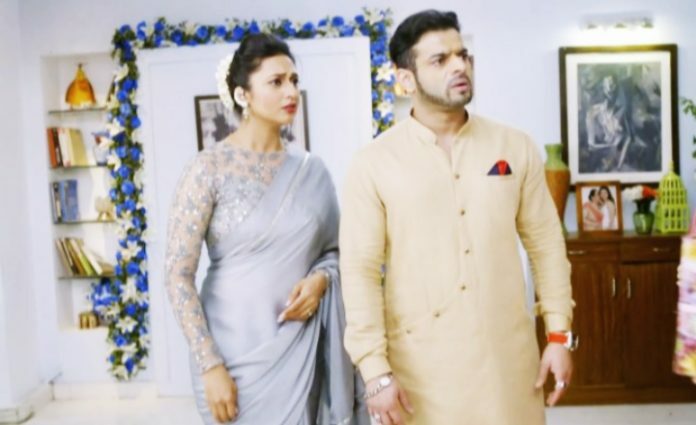 IshRa will get clued about Parmeet’s next big crime. Simmi sympathizes with Raghav’s daughter Ananya. She asks Parmeet not to do anything bad with the girl. Parmeet asks Simmi not to get in between his work. He gets Ananya captive and hires a goon to keep an eye on her. Simmi asks Parmeet to spare the girl’s life. She promises Ananya that she will save her. Parmeet drags Simmi away from Ananya. Raman realizes that Parmeet might have followed him and threatened Raghav’s wife. He tells Ishita that they have to keep an eye on Simmi and Parmeet to know the matter. They spot Simmi crying. They go to overhear their conversation. Simmi asks Parmeet not to harm Ananya, she is like their daughter. He tells Simmi that he can’t risk his life, he doesn’t want to go to the prison because of her. He scolds her for being so stupid and giving a hint to Raman, by which Raman can get him arrested. Parmeet tells Simmi that he has instructed the goon to kill Ananya if she rebels. Simmi asks Parmeet to leave the girl, since she is innocent. Parmeet tells Simmi that he can’t leave Ananya, as its important to control Raghav’s wife. Simmi begs him for Ananya. Parmeet laughs seeing Simmi’s emotional tears. He asks her how did she get a heart again. He mocks her sentiments. Raman and Ishita realize that Parmeet is again risking someone’s life. Parmeet tells Simmi that he won’t take Ananya’s life, he isn’t a murderer, he will not upset her. He fools Simmi. He tells her that he wasn’t serious, he will not go against her. She asks him to find some other way. Parmeet lies to Simmi knowing Raman and Ishita are spying on him. He changes his stance to trick Simmi. Raman tells Ishita that Simmi isn’t evil-hearted, Parmeet is going to kill someone. Ishita thinks they should alert Raghav’s wife. She tells Raman that they can’t accuse Parmeet, since he could do his crime in haste. Ishita keeps an eye on Simmi to get some clues. Ishita and Mihika take care of the baby, and please Mrs. Bhalla. Mihika cancels her work appointments for the baby’s sake. She tells Ruhi that she forgot about her salon appointment because of the baby. She tells Ruhi that she can miss anything for the baby. She just wants to concentrate on the baby. The family gets happy seeing the positivity in Mihika. Mrs. Bhalla tells Ruhi that baby Adi has brought much happiness for Aaliya and Mihika. They realize that Ishita’s decision to save Roshni was absolutely right. Ishita gets to see a ration list and sees rat poison included in it. She learns Parmeet has got those things. Simmi tells Parmeet that she wants to donate Ananya’s clothes to Raghav’s daughter Ananya, as she resembles their daughter. He gets frustrated seeing her. He knows Simmi won’t let him kill Ananya. He conceals his plannings. Simmi learns Ishita has helped her maid in cooking food for kids. 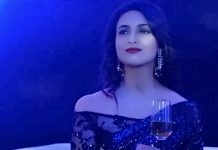 Parmeet adds the poison in the food so that Ananya dies and blame comes on Raman and Ishita.